With December finally here, the cinema isn’t always the easiest place to get to. With Christmas shopping, visiting families, office parties and simply not wanting to leave the house without your pajamas, it’s the perfect time of year to dig out some classic Christmas films. Who doesn’t love Batman and Christmas together?! Especially with Michelle Pfeiffer’s iconic Catwoman. Even if you don’t like celebrations too much, you would like Batman. Or the other way around - it belongs to a rare category that every can enjoy. I remember a time in my childhood where I would watch it over and over again – I need to do that again this year! - Cagla Demirbas. Me and my brother only watched this a few years ago but it’s now the film we make sure to watch together every year. It’s so ridiculously silly but also so damn quotable! The true holiday spirit is shown in the mutual hatred everyone who watches it has of their annoying neighbour, Ted. - Sophie Duncan. Richard Attenborough’s Father Christmas is the Father Christmas. The message and heart of this film is so pure and wholesome that I just want to hug everyone after seeing it. It’s a sickly sweet watch but it also has a couple of unexpected dark moments! - Sophie Duncan. Okay, so the plot is a little ridiculous, I don’t know many six-year olds who could win a court case and get manage to wrangle a baby brother out of Santa Claus. However, it’s still heart-warming and Mara Wilson was amazing. - Ashton Clarke. 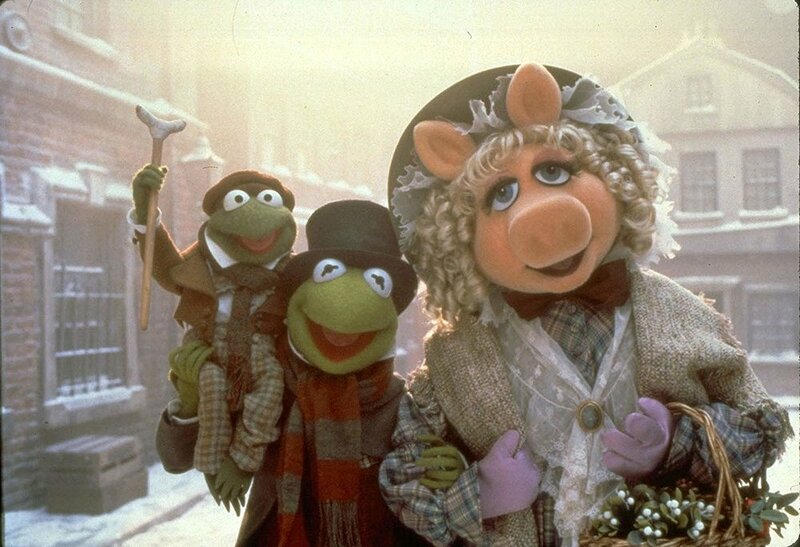 My absolute favourite Christmas film! Still can’t understand how people though the ghost of Christmas future was scary, and I have no shame playing the soundtrack to get into the Christmas spirit. - Ashton Clarke. The only Christmas film you can start watching at Halloween. Jack technically ruins Christmas, but we all learn a valuable lesson and it’s still got some good songs. - Ashton Clarke. I remember watching The Polar Express in class and falling in love with the animation style instantly. I was surprised when I noticed audience never learns main characters names throughout the film – even they don’t learn each other’s names. But that’s not a problem at all because we are already in the mood for festive spirit thanks to the plot! - Cagla Demirbas.